Beauty and function come together nicely with the HP Envy AIO 27, a desktop PC that has everything you need to make it the center of your digital entertainment world. Unlike many all-in-one systems, the Envy has all its primary components packed into the base, enabling the 27-inch QHD (2,560 x 1,440 resolution) touch screen to remain light with a thin bezel. 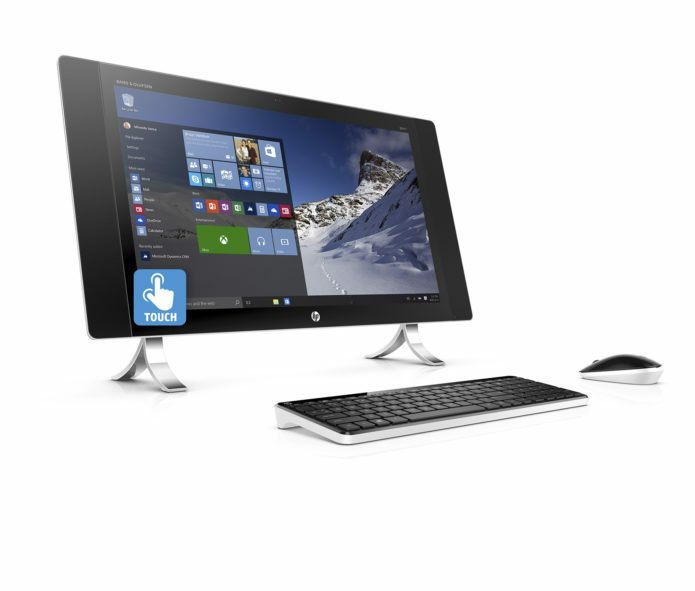 That’s not all, the HP Envy AIO 27 is basically the Go Go Gadget of desktop PCs. The base also features a 19-inch long Bang & Olufsen sound bar that naturally blends in with the rest of the base while offering quality sound for music, videos, and games. Meanwhile, the screen has a built-in pop-up webcam, which can be pushed down into the screen for added privacy and security. Ports, which include a SD card reader, HDMI In and Out, and USB 3.1 Type C, can be found on the right side and back of the base.